We are always looking for help with our office, cleaning, cooking, housekeeping and gardening. For the summer months we are offering free lunch to anyone who lives nearby would like to help us with our ever expanding garden! If you have skills in any of these areas and can make an ongoing commitment please contact Younam in the office for more details. 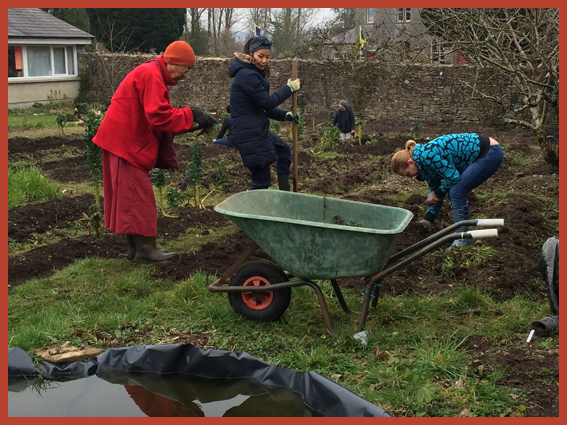 We have one work weekend in our garden every spring which provides a fun way to visit the centre and meet new people. Free food and accommodation is provided on that weekend. Please see the list of Upcoming Events to find out the date of the work weekend.